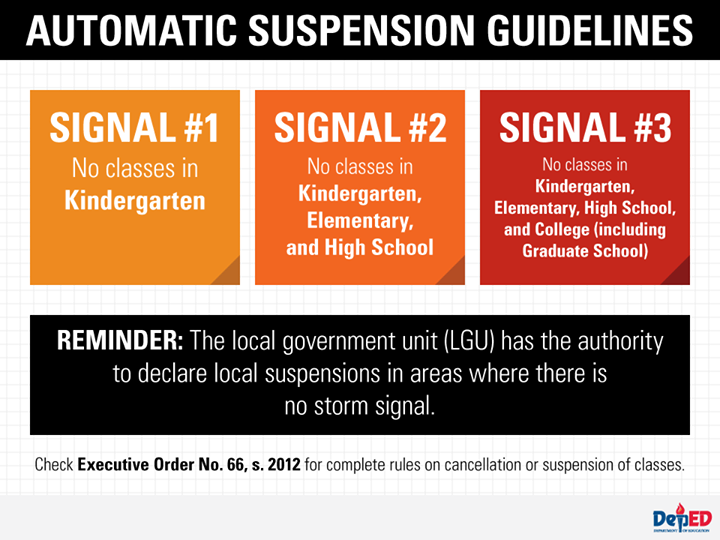 Manila, Philippines - [As of 10:00 p.m., September 19] Some local government units (LGUs) and schools advised class suspensions for tomorrow, September 20, 2014 (Saturday) due to rains and floods brought by Typhoon Mario in the country. The advisories were released through social media Friday night. At 4:00 pm today, Tropical Storm Mario was estimated based on radar and other available data at 70 km Northeast of Laoag City, Ilocos Norte (18.7ºN, 121.0ºE). 'Mario' has maximum sustained winds of 75 kph near the center and gustiness of up to 90 kph. It is forecast to move West Northwest at 19 kph. Department of Education (DepEd) said that according to rules, LGU officials are the authority to declare suspension of classes. 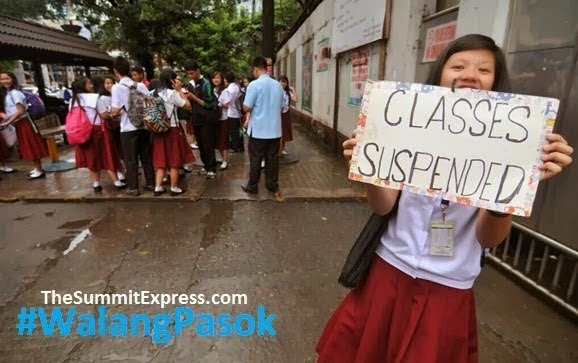 Students are advised to closely monitor updates using #walangpasok hashtag on Twitter.